There are no rooms available at Foxes Reach for these dates. Beautiful cottage. 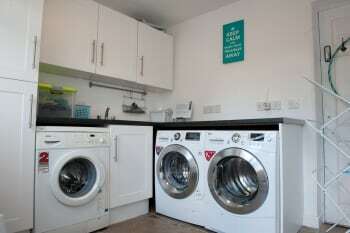 Excellent facilities and the owners are very welcoming and helpful. Lots of locations to visit. This is a beautiful cottage in a peaceful location. 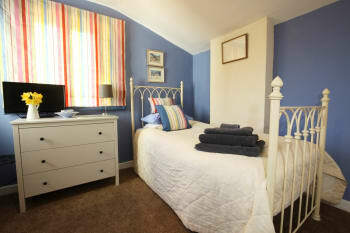 The cottage is spacious and very well equipped. We were given a warm welcome on our arrival and the milk and Welsh cakes were very welcome. The Anchor in Tintern proved to be a good place for dinning out and the breakfast in the White Monk cafe was suburb. 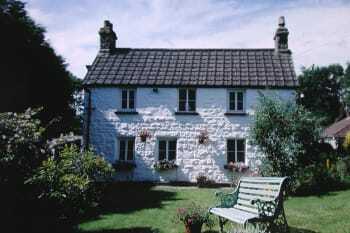 The cottage is located in a very rural area and there are no shops in Tintern - we later discovered that bread and milk could be purchased in the cafe. The main shops are in Monmouth or Chepstow ( approx 6 miles away) so stock up when you first arrive. There also plenty of places for buying local produce. Thanks for taking the time to review the cottage. We are so glad you loved it! Yes we agree we could do with a local shop, the nearest is 2 miles, but as you know all the supermarkets do deliver to the cottage. Sorry the first aid kit was out of sticking plasters. We ask people to replace what they have used before checkout , but someone did not and we should have noticed. Come again before too long! Not walkable to a local pub - except on a Friday eve when the Village Hall becomes a pub! We had the curry from The Curry Queen, which was very nice - but the driver couldn't find us - and it was cold when it arrived- so maybe need to give clear instructions when ordering. Thanks for leaving us a great review. The nearest pubs(4) are all about 2 miles in various directions. Lots of people do walk to them, but mostly for lunch in summer rather than on winter evenings. Yes our village hall has all sorts of good events to which visitors are welcome including film nights and the pub night! We are a bit surprised the curry driver was lost. They are based under 2 miles away and deliver all over the village every weekend. Can only assume they had a non regular driver! Delighted you loved the cottage. Come back soon! First aid inadequate. We needed plasters. So glad you enjoyed your stay! Please come again before too long! 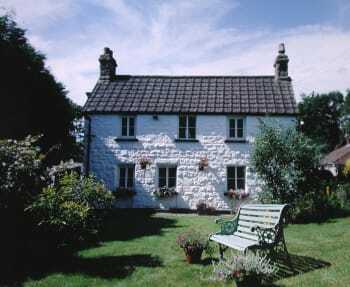 Beautifully maintained cottage , location a little remote in my own opinion, from the booking advertisement we thought we were actually staying in Tintern until we had the confirmation stating Catbrook . Thanks for taking the time to write this review. 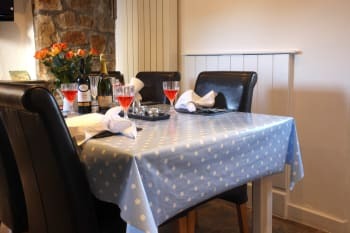 We are delighted that you enjoyed your stay and loved the cottage .You booked via our agent not direct with us and we have again checked that their advert does say Catbrook near Tintern and does give the distance to the nearest pubs etc. For the benefit of others reading this Foxes Reach is 1.5 miles from Tintern, 2 miles from the Abbey itself (and our other cottage right in the village) , and 1.5 to 2 miles from several good pubs.The plus side is a very quiet but not isolated location, perfect for the secluded garden with its hot tub.Now you have found us come again soon! We had an amazing weekend. Cottage was spotless and had everything you could need. We loved the hot tub! Peaceful surroundings and lots to see and do in easy traveling distance. We will definitely return. Absolutely perfect. 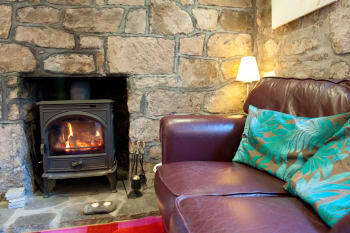 Cosy, beautifully decorated, superb wood burner. Very welcoming and helpful owners. Spotlessly clean. Cannot find 1 fault. Definitely reccomend. So delighted you enjoyed your stay- and the new kitchen (of which you were the first users!) Please come again before too long! Delighted you had a wonderful new year Break- even a little snow to make it pretty but not inconvenient! Thanks also for leaving the house in good order. not everyone does and its much appreciated. Happy New Year! We had a lovely stay at this cute cottage. There is a hot tub in a nice garden that isn’t overlooked and enclosed if you are taking dogs with you like we did. 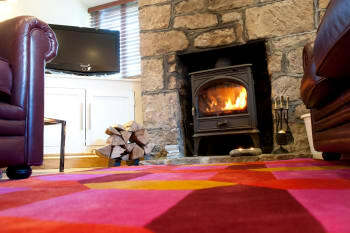 After a session in the hot tub you can get cozy and warm by the wood burner. 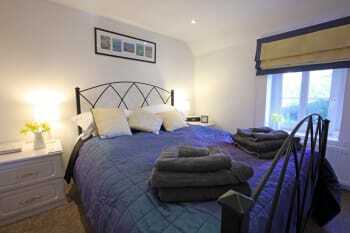 The cottage is well equipped so you will have everything you need. 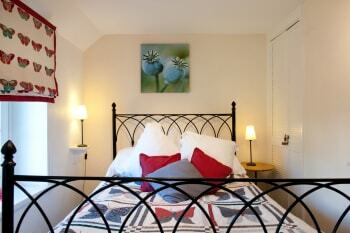 Lovely bedrooms and bathrooms, there is bath upstairs and a shower room downstairs. I would definitely recommend this cottage to friends and family. Travel down before it gets dark if possible or you could pass the turning down to the cottage. Also go with the directions given you by the owners as your sat nav isn’t always correct. We had a lovely stay at Foxes Reach and was made to feel very welcome. 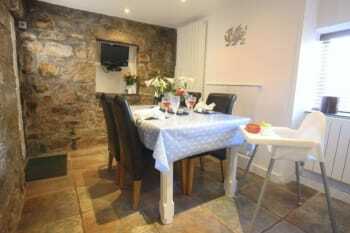 Lovely cosy Cottage with the bonus of a hot tub. Would certainly love to return in the future. Some great walks around the cottage. Would recommend a visit to Whitestone where the views of the Wye Valley are amazing. The Forest of Dean is close by and a visit to Puzzlewood is also recommended. We absolutely love this area and this is our 4th visit and it certainly will not be our last. Beautiful cottage in a lovely quiet village. Easy access to main roads and motorways. Very dog friendly. Hot tub was a big bonus. 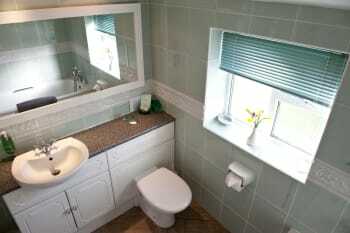 Cottage facilities has everything you need. Would definitely stay again. The owners are very friendly and welcoming. Not far from Tintern Abbey. The Abbey Mill nearby does lovely food. Walks a plenty. Good central location. Good introduction. Long hair on tin by fire, fire front needed cleaning. 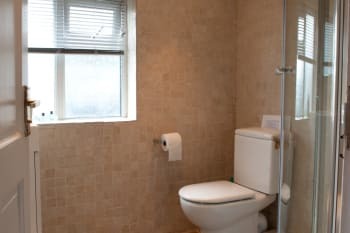 Extractor fan in shower room needs cleaning. These did not detract from our stay. 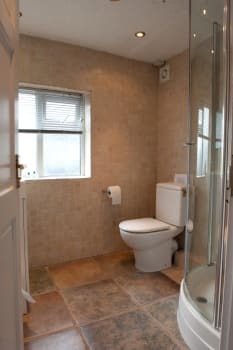 We are really sorry that there was dust in the extractor fan in the shower room. It wasnt a lot but should not have been missed.Glad you loved everything else and would recommend us. Please come again soon! Lovely location, very peaceful with good walks. Some good pubs around locally for food and drink. Brecon Beacons is nearby, but bring good sturdy, water-proof walking shoes. 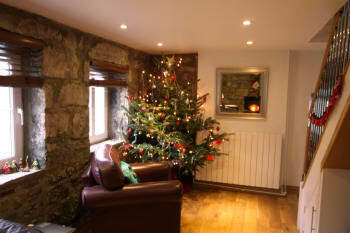 The Lion Inn serves lovely food, as does the Anchor in Tintern near the abbey. We had a lovely long weekend in Foxes Reach with 3 children under 3. 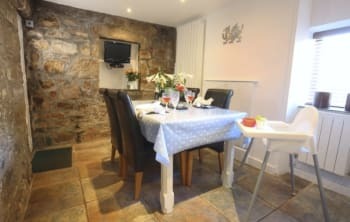 The cottage is well equipped for little ones and made staying away from home so much less stressful. 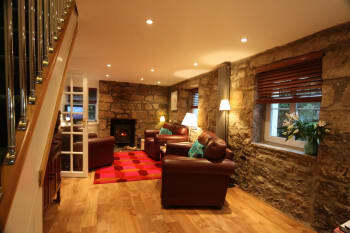 The cottage itself was fantastic and the grown ups particularly enjoyed the garden and hot tub! We had no problem finding the cottage using Google maps. The cottage is in a lovely quiet location and a good base for exploring nearby Tintern Abbey, vineyard, Forest of Dean, Puzzlewood, etc. There's lots to see and do nearby and we would love to stay here again. 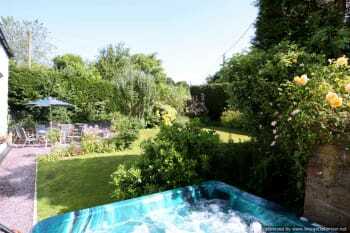 Beautiful cottage with everything you could need for a very comfortable stay including a wonderful hot tub and wood burner for snuggling in for the evening. So delighted you enjoyed your stay. We do try hard as you have seen and it is wonderful when that is all so appreciated. Come again soon! Nice cottage, enjoyed our stay. Comfortable and clean. Ideal for us with 2 dogs. Lovely shorter walks from doorstep. Tintern Abbey, Symonds Yat, ate at the Anchor at the abbey, really good, The Fountain near cottage, home cooked food. Waitrose and M&S in Monmouth. Hidden access,arrive with the day light! 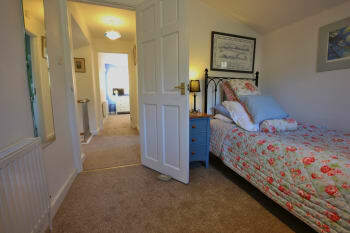 Great location for walks and very cosy cottage,well furnished- high standards! Very clean and the Kichen had all you needed the hot tub is nice after a day out and about. BT tv is a nice touch as well. On the down side it is a cold cottage and the heating isnt good anuf but when the log burner is on then it's wormer but you will need a bag of logs a night. We found your comment about the heating after you had left. Such a shame you did not contact us whilst you were there. We did welcome you in and always say if there are any issues you should do that. The problem was that despite being newly replaced the battery in the thermostat had failed so it was not calling for heat as it should have done. As soon as a new one was fitted it warmed up. ( that said it was still between 20 and 21 degrees in the cottage so not very cold.) Apologies! Everything we wanted an more. Everything we wanted for a peaceful break away from the demands of life. The cottage itself was lovely & so well equipped. The owners had thought of everything. It was beautifully quiet & extra nice to be able to watch rabbits hopping about in the garden. The hot tub was amazing too!! We didn't do a lot as the purpose was to rest but the Centre for Birds of Prey was worth a visit as was a trip on the Brecon Mountain Railway. Absolutely delighted your stay was really great. As you saw we do try hard and we are thrilled when you are so happy. come back soon! Lovely cottage very peaceful except with our kids ;) Hot tub a hit. Little bit out of the sticks for us but it was a lovely place to stay. Good sat nav needed. Cardiff was a fab day out and we also went to bristol zoo. Chepstow good for the local tesco. The 10 walks book in the cottage was brill. We used that for a couple of days out. Symonds yat rock a def place to visit. Tintern Wye Valley Hotel serves excellent meals. Warm and friendly welcome. Cottage of a high standard. Every mod con catered for. Not sure quite so many notices are necessary - the clientele you cater for are well aware of septic tanks, tumble dryers, candle use etc. We have stayed in other five star cottages where this is a little more discrete. Quite cramped for more than four people. Absolutely 5star and above from start to finish, these guys have perfected an absolute winner here. What a lovely review. We are do delighted you enjoyed your stay and we appreciate that you took the time to write this. Thank you and please do come again before too long! The cottage was absolutely lovely and the smalltouches very much appreciated. Lovely cottage with everything you could wish for. Very comfortable bed. Lovely furnishings. Lovely hot tub. In a great location for wonderful walks and beautiful scenery. I definitely want to return. Walk up to the devils pulpit for great views of tintern. Lovely walk along the river to the old station. The anchor inn in tintern ..Lovely food and allows dogs inside. We enjoyed all our visits to Chepstow, Monmouth, sculpture trail at St. Arvans etc. but particularly liked the gardens at Dewstow and the story behind them.The museum and Roman site at Caerleon were also well worth a visit.